"We have used this practice for years and the care and attention for both pet and owner is outstanding. The staff and all the team are always friendly, caring and understanding, and I know that my pets are in the safest hands. I wouldn't hesitate to recommend them!" "Excellent veterinary practice, have been a client for over 20yrs with service that cannot be faulted. Would highly recommend." "Fantastic vets, always flexible to make life easier & better for your animal! Great staff who love pets & treat each like their own." 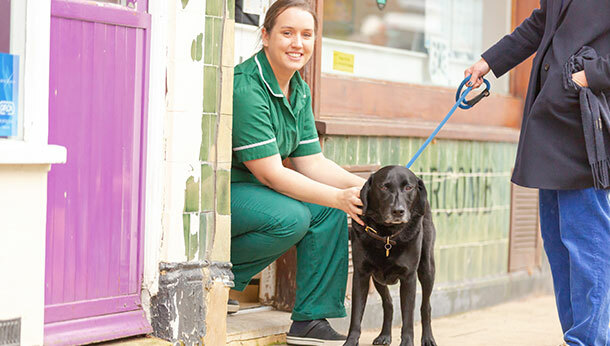 "I have been going to Amery vets for 6 years and cannot fault them, they are very caring, they take the time to explain what is going on, what will happen next and what I can do to help. From the receptionists to the vets they are brilliant." "Lovely friendly and caring staff. Always made us feel welcome and even more so with our rescue dog."